Industry 4.0 and smart manufacturing are top of mind for manufacturing leaders and analysts alike. Associated with the cloud, big data, machine learning, the Industrial Internet of Things (IIoT) and predictive analytics, this new wave of connected digital technologies offers manufacturers unprecedented levels of data-driven insights, efficiency, optimization, product quality and productivity. The potential ROI is so promising, in fact, that more than half of all industrial companies have already invested in IIoT technologies as part of their digital transformation journey.1 Yet a visit to almost any manufacturing floor reveals that error-prone and cumbersome paper processes are still alive and well. Despite the industry’s intense focus on current tech trends and initiatives, even the most forward-thinking manufacturers struggle to fully digitize, automate and integrate their operations, preventing them from leveraging the advantages afforded by these new technologies. For example, many companies continue to rely on manual, paper-based systems to maintain their batch records for compliance purposes. These inadequate systems expose manufacturers to several pain points, including inefficient processes, poor data tracking, inaccurate or missing information, and other risks. This often results in shipment delays, product quality issues, recalls, warning letters or even consent decrees. To combat these pains and their associated risks, companies are looking to electronic batch record (EBR) solutions, the latest evolution in batch record management systems, which offer the robust functionality, enterprise connectivity and compliant traceability needed by highly regulated pharma manufacturers to realize their full potential. For most life sciences companies, creating batch records is still a manual process. This means that every step of the batch record process — including filling out records, record reviews and batch record audits — is conducted manually, by humans, and primarily on paper. At every step, these processes are slow, cumbersome and subject to human error. Companies that use manual batch record processes may encounter a number of issues, which can have real consequences on their ability to ship product, remain profitable and sustain audit by regulatory bodies. Batch records are complex: The complete record for a single production process may range from hundreds of pages with thousands of required fields, up to thousands of pages with tens of thousands of required fields. Using a manual process, each of these fields must be filled out in pen by an engineer or line worker during the manufacturing process, at the right time within that process, by the correct employee, and within the accepted range of values. Scribal errors: The person filling out the form may enter an illegible value or may physically smudge a number, making it unreadable during validation and review. Missing values: A batch record form may indicate that a value is required, but with a manual process, there is no way to enforce this requirement. As such, records may be returned with missing values, necessitating a time-consuming correction process. Illegal values: While missing values are a serious nuisance, values that are erroneous or fall outside of an acceptable range are even more tedious to correct with a manual process. The entered value must be crossed out, and a new value written in on the form, which may then have to pass physically between several employees before the batch record review can continue. These types of errors can initiate a lengthy and costly nonconformance or deviation process, either during manufacturing or the review stage of the completed batch record between manufacturing completion and release. When multiplied across thousands or tens of thousands of data entry fields, the logistical complexity of implementing corrections can quickly become unwieldy. By contrast, EBR solutions introduce flexible, streamlined, software-based batch documentation workflows that can integrate with and advance a company’s manufacturing processes. Limit field inputs to a specific range. Forbid entering past dates without supervisor override. Verify that all required fields are populated before allowing the form to be marked as complete. As manufacturing processes become more complex and new competitors arise in the global manufacturing industry, a company’s ability to intelligently collect, aggregate, filter and surface raw data from its batch records is the key to staying competitive and profitable now and in the future. This includes activities such as collecting real-time information from the factory floor, identifying bottlenecks and production issues, and evaluating test results. If a batch record process relies on paper forms that must be physically passed between multiple employees, it is simply not possible to efficiently catalog the large amounts of data required to support these analytic and diagnostic activities. As a result, the ability to track manufacturing changes, identify quality events and take corrective actions is limited. Ingredient information: Certificate of Analysis (CoA) supplied with raw materials, test method procedures and yields, as well as the source of the ingredients, the quantity used, and any notes from the original manufacturer may all have implications for the quality of the product being manufactured. Observed values: The measurements, weights and properties that line workers input as part of their material process actions are an integral part of the batch report and can be useful for diagnosing or anticipating quality problems that may arise from human error or oversight. These capabilities are especially important in drug manufacturing, where seemingly small quality issues can quickly cause serious problems, up to and including a need to discard an entire batch in production. Furthermore, these issues are time sensitive when chemical processes are involved, meaning that QA engineers need immediate access to process data in order to signal quality events and initiate corrective action as soon as possible. Until now, companies have had to make do with the time delays and practical limitations inherent to manual batch record processes, closing the door to significant gains in efficiency, speed and accuracy. Manual processes are simply not fast, accurate or comprehensive enough to surface the observations that engineers and QA teams need to make real-time decisions about deviations, quality events and corrective actions. This functionality can best be achieved with an EBR system. When batch record documents are filed electronically, the data contained in these documents is immediately available to relevant teams and to other parts of the manufacturing toolchain, such as an ERP solution. Right first time. Because batch record documents are filed electronically, it’s possible to set the range of valid entries that can be made. This means that any document that is marked complete will have valid data that QA teams can use immediately. Fast accessibility of data. Rather than waiting hours or days for batch record updates to change hands across teams, and for data to be entered into an accessible database or repository, the data is available seconds after a batch record entry or document is completed on the floor. There is no one system that can guarantee manufacturing success or control every aspect of a complex, multifaceted manufacturing process. Instead, manufacturers rely on a set of systems that monitor, collect and aggregate data, such as ERP, MES or SCADA systems that surface observations from multiple business areas for use in manufacturing, purchasing and other activities. The necessity of interfacing with multiple systems poses a potentially serious problem for companies that use paper-based batch reporting processes because these processes cannot connect with electronic systems, are subject to human error and scale poorly. While a lack of communication between systems is by no means unique to batch record development processes, it is an enduring challenge in the manufacturing field. But because the batch record is at the heart of the manufacturing process as a whole, limitations here can have wide-ranging impacts throughout a company’s operations. Quality and manufacturing: As discussed earlier, QA teams must have access to manufacturing data in order to initiate quality events and recommend corrective action. Conversely, manufacturing teams must be able to report data to not only their supervisors, but also directors and engineers in QA. Manufacturing and operations: Operations-based departments such as human resources, procurement, legal and sales require access to manufacturing data in order to surface relevant observations and reports for stakeholders throughout the company, as well as for clients and customers. While these connections are certainly possible using a manual batch record system, the challenges resulting from poor synchronization and time-consuming data entry can seriously limit the throughput between manufacturing and other critical business areas. If a company uses a manual, paper-based batch record development system, the pain — as well as the financial, time and personnel costs — of having disconnected systems that can’t effectively communicate with one another is evident. To resolve these issues, companies need a system that enables the creation of not only electronic batch records, but also connections between systems, data interfaces and the people who make up relevant teams. 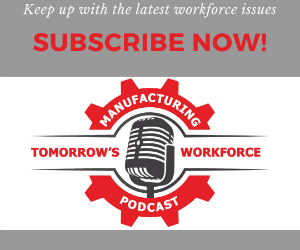 In an increasingly competitive and interconnected industry, manufacturing firms that don’t leverage all the resources within their business simply cannot remain competitive. A smart, software-supported batch record process is the engine that drives productive connections and insights between manufacturing, QA and other operational units in a company. Many types of manufacturing records keep data on what are essentially static processes that may be less sensitive to the exact timing or execution of a given step, or are not significantly affected by environmental conditions. By contrast, pharma manufacturing involves a variety of chemical processes that can be significantly — and harmfully — altered by any number of factors, such as temperature, purity and potency, or other environmental conditions like humidity. Unacceptable delays: It takes time for paper batch record documents to be filled out, validated and filed. Sometimes, these delays can take long enough to alter a timeline and affect time-sensitive processes downstream in the manufacturing process. Lack of adaptability: Even if a production timeline has been adapted for a manual batch record process, this approach can limit the ability to respond in real time to changing conditions, such as equipment failure, variable ingredient quality, and ambient conditions such as humidity or temperature. Limited conditional responses: Batch manufacturing processes often include multiple branching paths depending on the source material and ambient conditions discussed above. Paper-based solutions are inherently less suited to this type of complexity because new documents must be prepared and maintained for each possible branch in the procedure. Compared to paper-based systems, EBR solutions are inherently more flexible and can better adapt to environmental changes and all the dynamic complexity of pharma manufacturing processes. Across the manufacturing industry, more and more companies have recognized the importance of going paperless, many declaring it a corporate directive. Some have even begun filing their intent to go paperless with regulators. It is clear, however, that challenges persist. As part of the current digital transformation movement, there is a need in pharma manufacturing to move away from the systems and methods of the past, and to embrace more advanced, efficient and compliant approaches to all manufacturing activities, including batch record management. EBR solutions are beginning to emerge that are robust enough to help companies realize tangible and significant operational efficiencies, while practically eliminating their regulatory burden of proof relating to batch records. This should be a welcome development for all pharmaceutical manufacturers, particularly those pursuing manufacturing excellence and the truly paperless factory floor. 1. “Quality 4.0 Impact and Strategy Handbook: Getting Digitally Connected to Transform Quality Management.” 2017. LNS Research. Digital Transformation: Are You Stuck in the Pilot Stage?